For the home lovers on your list, your first stop should be Pehr Design. Friends Jennifer Kelly and Rebecca Perren always knew they wanted to work together and we’re so lucky they took the plunge. Their line of homewares including table linens, storage bins and accessories all in their signature graphic style are made to keep. 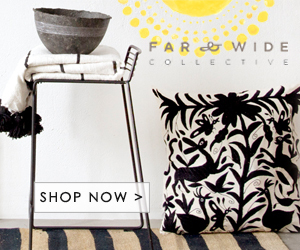 Some of my favourite items include the marled wood throws and the natural dobby napkins. If you’re looking for gifts for the new parent, they have bibs, mobiles, swaddle blankets and hooded towels in the sweetest, most subtle prints.